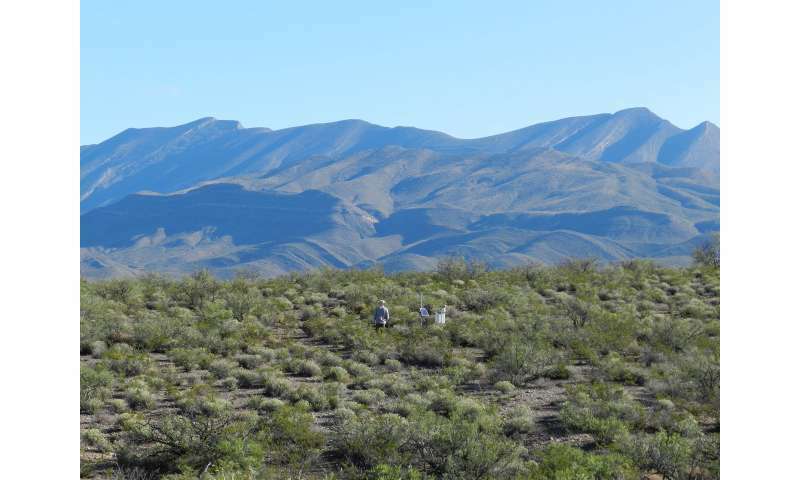 Using a combination of field instrumentation, unmanned aerial vehicles and a hydrologic model, a team of researchers from Arizona State University and the Jornada Long Term Ecological Research Program of the National Science Foundation has been studying the fate of monsoon rainfall and its impact on groundwater recharge in the Chihuahuan Desert of New Mexico. "The results of this study show that monsoon storms serve an important role in recharging groundwater aquifers near the point of runoff generation," says ASU hydrologist Enrique Vivoni of the School of Earth and Space Exploration and the School of Sustainable Engineering and Built Environment. "This is an essential process that banks renewable surface water for future use as a ground water resource in the arid Southwest and throughout the world." 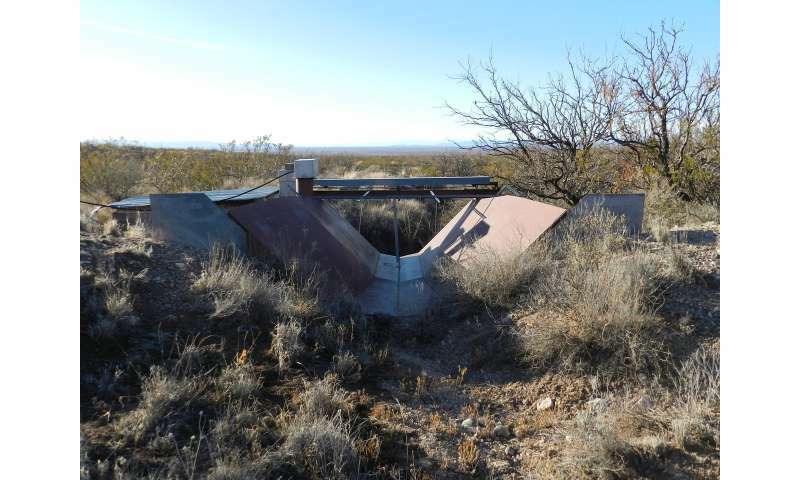 From 2010 to 2018, the team, which included several undergraduate and graduate students from ASU and collaborators from New Mexico State University and the U.S. Department of Agriculture, collected data from a watershed monitoring network established at the Jornada Experimental Range in New Mexico. They focused specifically on measuring hydrologic and ecologic conditions on piedmont slopes, locally known as "bajadas," which connect mountain ranges to river valleys, but have often been ignored as sources of groundwater recharge. Adam Schreiner-McGraw, currently a postdoctoral fellow at the University of California, Riverside and lead author of the study, was a graduate student at ASU's School of Earth and Space Exploration when the published research was conducted. Dr. Schreiner-McGraw visited the watershed site every three weeks for over six years to collect hydrologic data, maintain the extensive instrument network, and carry out the site sampling needed to setup and test the hydrologic model intended to gain further understanding of the field conditions. "In hydrology," says Vivoni, "you have to wait for certain conditions to happen. In this study, we benefitted from having a sequence of wet summer monsoons deliver above-average rainfall." During this time, the team collected high-resolution data on rainfall, streamflow, soil moisture and evapotranspiration using a variety of instruments operating in a coordinated manner. 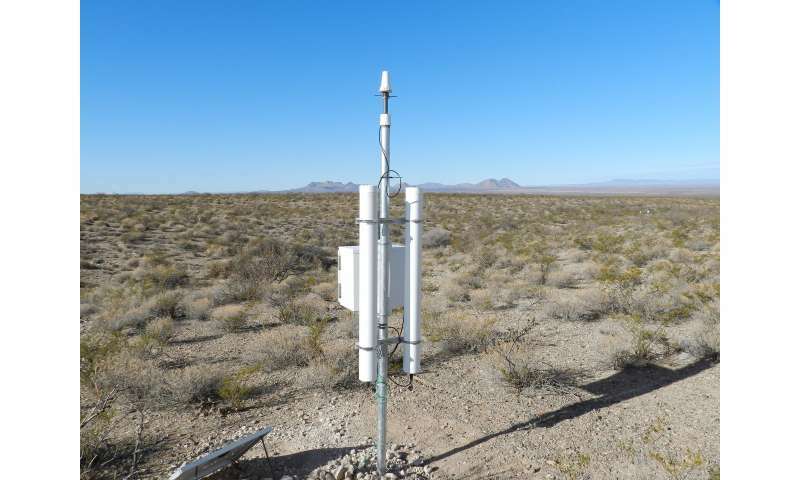 Using long-term data from these sensors, Schreiner-McGraw identified that large amounts of the incoming rainfall, especially during wet monsoons, was not being lost to the atmosphere via evapotranspiration nor from the channel system as streamflow. Instead, runoff was being lost as percolation in small channels not more than two feet in width—an unexpected finding. By tracking the fate of monsoon rainfall, the research team set out to explain how hillslopes and channels of the piedmont slope might lead to groundwater recharge. "Soils on hillslopes are very different than those in the channels," explains Schreiner-McGraw. "They are compact and do not absorb water very quickly, and they also have calcium carbonate layers about 12 to 20 inches below the surface that limit infiltration. Channels, on the other hand, have coarse and permeable sediments that can absorb water much more quickly." This information was used to modify a hydrological model of the instrumented watershed, originally developed during Vivoni's graduate studies at the Massachusetts Institute of Technology. Based on their field work, the research team tested the model against a suite of long-term data, including evapotranspiration, soil moisture, streamflow and percolation. "It is uncommon to have a hydrologic model tested so thoroughly," says Vivoni. "By performing iterations of field observations and model developments, we demonstrated the value of long-term research." The research team then used the numerical model to isolate two important factors affecting the percolation process: the infiltration properties of hillslopes and of channel reaches. Simulations indicated diverging effects of these factors on the proportion of rainfall that recharges groundwater systems. These findings are applicable to arid piedmont slopes anywhere on Earth. "Understanding the groundwater recharge process in arid regions can help us sustainably manage groundwater use in these climate settings," says Schreiner-McGraw. With water becoming an increasingly precious resource, a better understanding of how groundwater is recharged could help communities across the globe. "Groundwater is much like a bank account," explains Vivoni. "Underground aquifers can store water delivered from surface systems which can be subsequently extracted under periods of water scarcity." The Chihuahuan Desert, like many areas in the southwestern U.S., has experienced a transition in vegetation communities from grasslands to shrub lands. "We have historically used large open areas of the western U.S. and northern Mexico for livestock grazing," states Vivoni. "As a result, many grasslands have disappeared and been replaced by desert shrubs." In addition, drought and fire suppression have contributed to the conversion of grasses to shrub lands. An open question remains as to whether this transition has impacted the groundwater recharge process in piedmont slopes. "We have examined how the instrumented watershed contributes to groundwater recharge under current conditions," says Schreiner-McGraw. "The next step in the research is to determine how these contributions would be altered under different plant communities." Here, the hydrological model will be employed as a numerical laboratory to determine how vegetation changes alter groundwater recharge, for instance under a historical grassland scenario or a case with desertification and the absence of vegetation. "The future of water resources for humans and wildlife is uncertain," adds John Schade, director of the National Science Foundation's Long-Term Ecological Research program, which funded the research. "Studies like this are essential to proper water management in the face of rapid environmental change, especially in arid lands where water is scarce. This study is an example of the critical role long-term research plays in uncovering what controls the availability of freshwater. It advances our ability to forecast how freshwater availability will change in the years and decades to come."